Howard Steinberg, LIPA's chairman, announced his resignation from the board, citing his expired term limit and lack of time due to his private-sector duties. LIPA Chairman Howard Steinberg announced his resignation from the board in a letter to New York Governor Andrew Cuomo on Friday, the Associated Press reports. Steinberg is one of four recent resignations coming from the power authority. LIPA’s chief operating officer Michael Hervey announced his own resignation, which was accepted by Steinberg on Nov. 13. Hervey will be serving for the rest of the year before leaving his post. Two other board members, X. Christofer Damianos and Bruce Germano, both resigned amid the harsh criticisms and investigation following the authority’s management of the post-Superstorm Sandy restoration. Over 90 percent of LIPA’s customers lost power due to the storm, and some customers in severely flooded areas still remain without service a month later. Gov. Cuomo ordered an investigation into LIPA’s handling of the restoration process and has threatened to revoke the company’s certificate. 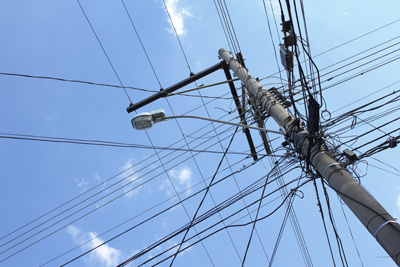 LIPA, along National Grid which operates it’s electricity network, faces a lawsuit filed by customers earlier this month. Cuomo has the ability to appoint nine members of the fifteen-member board, including the chairman, and currently there are only eight members remaining. Cuomo has only appointed one member in the past two years, despite vacancies. Steinberg, who was appointed by Gov. Pataki in 1999, based his resignation on his term limit, which expired in 2011. He went on to say that his duties as a “private-sector attorney” prevented him from contributing to fixing LIPA’s numerous problems. Subject: LongIsland.com - Your Name sent you Article details of "LIPA Chairman Announces Resignation"